In Alberta (Education) v. Canadian Copyright Licensing Agency (Access Copyright), the Supreme Court of Canada decided 5-4 that photocopies of educational materials made at the initiative of teachers for students constitute a fair dealing and therefore not compensable under Access Copyright’s proposed tariff. In 2004, Access Copyright- the copyright collective that represents authors and publishers of literary and artistic works- proposed a tariff covering the copying of published texts in elementary and high schools across Canada (except for Quebec). The photocopies made by the schools were classified into five categories. There was no dispute that the first three categories qualified as fair dealing. Category 5 copies were not even discussed in the decision. Category 4, however, proved to be a point of contention. This category dealt with those photocopies made by teachers on their own initiative for students. The Copyright Board decided that though the copies made by teachers for their students fall under the allowable purposes of “research” or “private study”, they did not constitute fair dealing under the CCH fairness analysis. On judicial review, while the Federal Court of Appeal ordered the Copyright Board to reconsider another ground of opposition, they found the Board’s decision on fair dealing to be reasonable. As I wrote in my analysis of the companion decision SOCAN v. Bell, fair dealing is a doctrine of copyright law that protects certain uses (or dealings) of copyright protected works that, but for the fair dealing doctrine, would constitute copyright infringement. 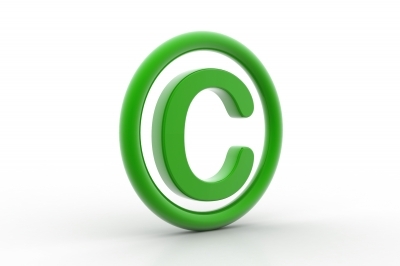 Fair dealing is considered to be a limitation on the scope of the copyright in favour of the public interest. Writing for the majority, Justice Abella concluded that the Copyright Board erred in its assessment of the fairness factors laid out in CCH. Strangely, the majority did not specifically address the “character of the dealing” although it is tacitly addressed in the assessment of the “amount of the dealing”. The “nature of the work” was also not assessed as the majority likely didn’t find it relevant in the case at bar. The Copyright Board analysed the purpose of the dealing from the perspective of the copier (the teacher) rather than that of the user (the student). The majority wrote that while the perspective of the copier may be a valid consideration to keep in mind during the fairness analysis, the predominant point of reference should be that of the student. From that perspective, the purpose (or motive) of the dealing should be considered to be fair. Access Copyright also advanced an argument that the purpose of “private study” necessarily precludes the classroom setting. Justice Abella found this argument unconvincing. While university level students are expected to conduct research on their own, elementary and high school students are not. At these levels, part of a teacher’s job is to guide the student in their research. In Justice Abella’s words: “By Focusing on the geography of the classroom instruction rather than the concept of studying, The Board again artificially separated the teachers’ instruction from the students’ studying” (Emphasis in the original). The Board assessed the amount of the dealing based on the aggregate number of copies made by the teachers. As the Court opined in SOCAN v. Bell, this is the wrong approach. In considering the amount of the dealing, the decider must look at the quality rather than the quantity of the work taken. In this case, the Board itself found that the excerpts taken by the teachers were relatively short. The Board based itself on a passage from CCH written in obiter saying that had the same person submitted several requests for documents from the same series or collection in a short timeframe, the dealing may be unfair. The Court points out that the teacher is not making multiple copies for himself, but a single copy for each student. Again, if analysed from the perspective of the user, this factor militates in favour of a finding of fairness. This factor assess whether or not it is truly necessary for the copies to be made or if there are other viable alternatives. The Board found that there were viable alternatives such as the purchasing of additional text books for each student. The majority makes clear that while an alternative, buying several different textbooks for each student is hardly viable. The cost of doing so would be astronomical and the schools would be forced to make do without those texts. As a result, the students would suffer by being forced to rely on only the textbook provided for and whatever materials may be found in the public domain. At the Copyright Board, Access Copyright was unable to show a negative effect on the published works in its catalogue that was due to the category 4 photocopying. Instead, they relied on figures showing a decline in textbook sales of 30% over 20 years without showing a causal link between those figures and the category 4 copies. The Board nevertheless found the effect of the dealing on the work to weigh in favour of Access Copyright. The majority exposed this finding as unjustified by the evidence. Furthermore, Justice Abella found it hard to believe that the copying of these short excerpts would compete with the sale of the entire textbook. As mentioned above, she found it more likely that if the copies aren’t made, the students will simply go without. Writing for the dissenting Judges, Justice Rothstein disagreed with the majority stressing that more deference for the Copyright Board’s decision was warranted. He found that the Board’s analysis of the fair dealing factors was not unreasonable and therefore not a reviewable error. Justice Rothstein goes on to write that he does not view the Board’s assessing the purpose of the dealing from the teacher’s perspective to be unreasonable. He found that as much as the dealing was focused on the learning of the student, so too was it focused on the act of teaching. More specifically, the careful selection and copying of excerpts was done for the purpose of “instruction” as much as it was for study. The dissenting opinion also sided with access copyright on the distinction between “private” and “non-private” study. Agreeing with the Federal Court of Appeal, Rothstein felt that even with a large and liberal interpretation, private study excludes study in a classroom setting. Justice Rothstein also disagreed with the majority regarding the Board’s assessment of the remaining factors, namely: the character of the dealing, the nature of the dealing, the amount of the dealing, alternatives to the dealing and the effect of the dealing on the work. As far as judging the case de novo is concerned, I find myself agreeing with the majority’s reasons. In spite of that, I believe Justice Rothstein was correct in showing deference to the Copyright Board’s decision. As a matter of administrative law, the Supreme Court’s decision in Dunsmuir v. New Brunswick requires that administrative tribunal decisions contain: “justification, transparency and intelligibility within the decision making process”. On the question of standard of review, the majority in Rogers v. SOCAN decided that the correctness standard applies where a court and administrative tribunal have concurrent jurisdiction in first instance. Unfortunately, this isn’t helpful to the majority in this case because the fair dealing analysis is entirely fact based. While I think the Copyright Board came to the wrong conclusion, I don’t know that the majority made out a case for unreasonableness.